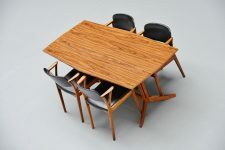 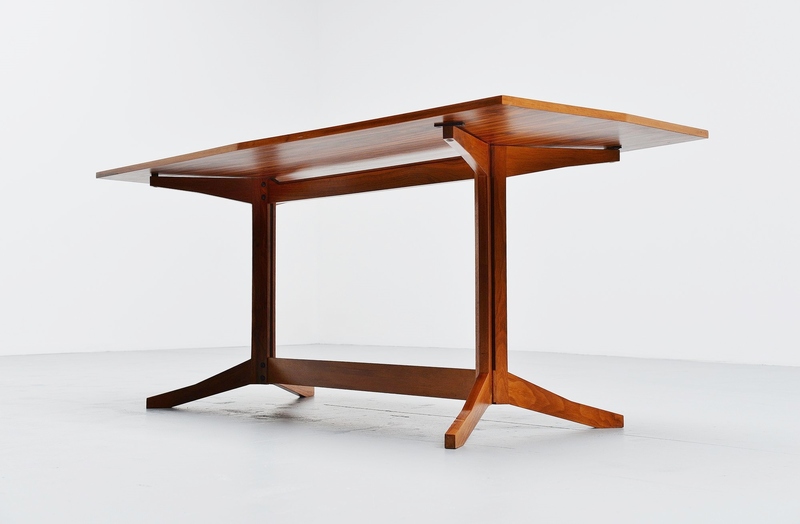 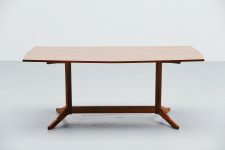 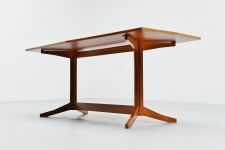 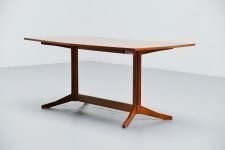 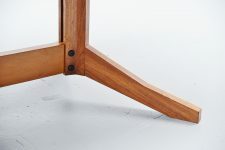 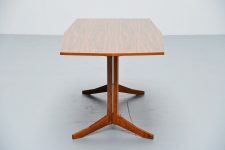 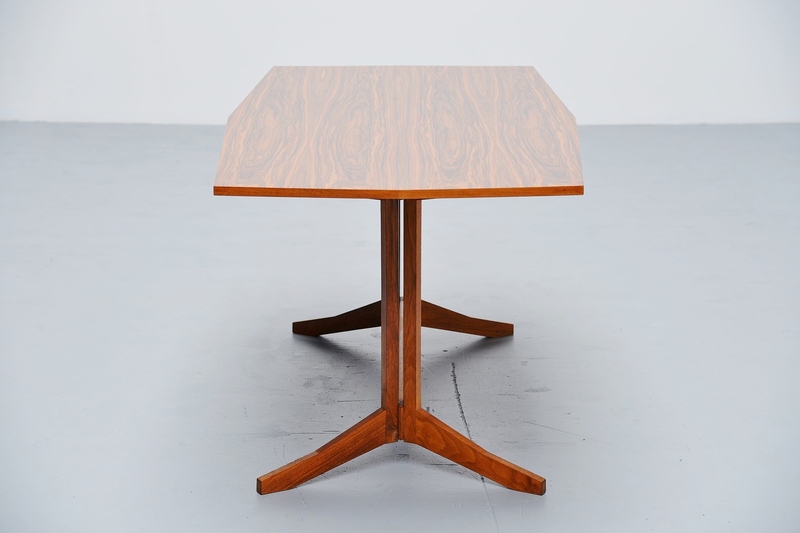 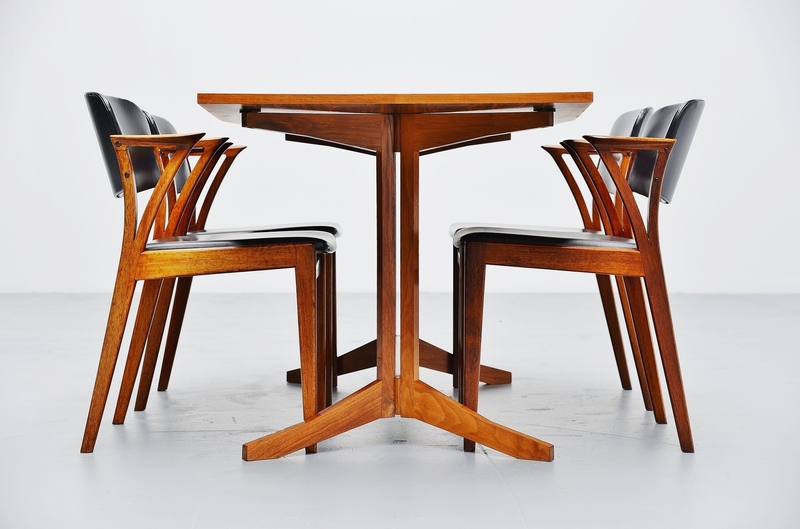 Nice shaped dining table model TL14 in walnut designed by Franco Albini and manufactured by Poggi, Italy 1957. 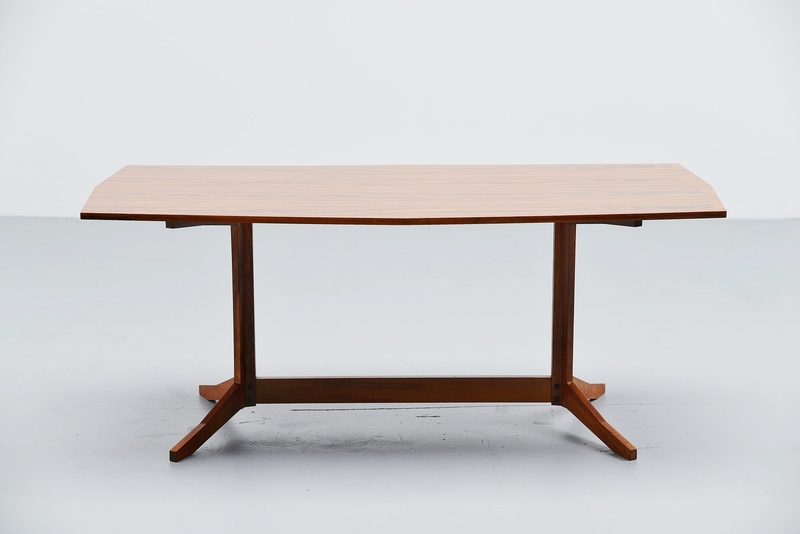 Very nice shaped table with walnut base and nicely grained top. 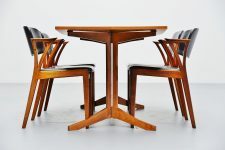 The table is in excellent original condition and can use up to 6 chairs. 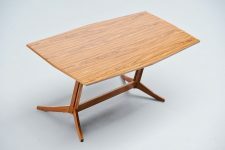 This is a typical piece of Italian design and this is a very hard to find piece.